Richard Crossman, the son of a judge, was born in Cropredy, Oxfordshire, in 1907. He was educated at Winchester and New College, Oxford, where he obtained a first-class degree. Crossman worked as a philosophy tutor at the university before becoming a lecturer at the Worker's Educational Association. In 1934, Crossman became the leader of the Labour Party group on Oxford City Council. He was also a staff member of the New Statesman. During the Second World War Crossman worked as a Civil Servant and by 1945 was Assistant Chief of the Psychological Warfare Department. Crossman once said of his work: "The way to carry out good propaganda is never to appear to be carrying it out at all." He was awarded an OBE for his services in the war. Herbert Morrison got to know him during this period and commented: "Richard Crossman has undoubtedly a sparkling brain and his abilities as a parliamentary speaker ensure that he gets a good hearing in the House. He has two troubles to master - if he can. The first is that he is prone to change his opinions from month to month or even week to week." In the 1945 Government I regarded him as a personal friend, though at times his waywardness necessitated a gentle reprimand. Crossman was elected to the House of Commons in the 1945 General Election. Over the next few years Crossman was associated with a group of left-wing members that included Konni Zilliacus, John Platts-Mills, Ian Mikardo, Lester Hutchinson, Leslie Solley, Sydney Silverman, Geoffrey Bing, Emrys Hughes, D. N. Pritt, William Warbey, William Gallacher and Phil Piratin. In 1947 Crossman joined Konni Zilliacus, Michael Foot and Ian Mikardo to produce Keep Left. In the pamphlet the authors criticized the cold war policies of the United States and urged a closer relationship with Europe in order to create a "Third Force" in politics. This included the idea of nuclear disarmament and the formation of a European Security Pact. This upset the party leadership. Herbert Morrison commented: "In the 1945 Government I regarded him as a personal friend, though at times his waywardness necessitated a gentle reprimand." 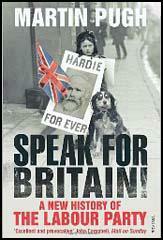 Crossman had the idea of publishing a book written by former supporters of communism. He wrote to C. D. Jackson explaining how he was editing a book that consists "of a series of autobiographical sketches by prominent intellectuals, describing how they became Communists or fellow-travellers, what made them feel that Communism was the hope of the world, and what disillusioned them." He asked for names who might be willing to contribute to this book. Jackson replied suggesting Louis Fischer. Crossman also recruited Arthur Koestler, Richard Wright, Stephen Spender, Ignazio Silone and André Gide to write articles for the book. These were sent to Melvin Lasky before they were published by Cass Canfield as The God That Failed (1950). As a result of his left-wing political views Crossman did not obtain high political office under Clement Attlee. However, after the Labour victory in the 1964 General Election, Harold Wilson appointed him as Minister of Housing (1964-66), Leader of the House of Commons (1966-69) and Secretary of State for Social Studies (1970). The Conservative Party returned to power after the 1970 General Election Crossman became editor of the New Statesman. Richard Crossman died in 1974. Crossman had kept a detailed diary after entering the House of Commons. This included the period when he was a government minister. 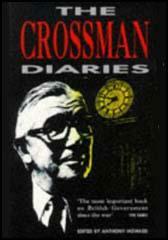 Despite attempts by the government of James Callaghan the Crossman Diaries began appearing in 1975. It was the first time a cabinet minister had revealled the inner workings of government. Richard Crossman has undoubtedly a sparkling brain and his abilities as a parliamentary speaker ensure that he gets a good hearing in the House. He has two troubles to master - if he can. The first is that he is prone to change his opinions from month to month or even week to week. In the 1945 Government I regarded him as a personal friend, though at times his waywardness necessitated a gentle reprimand.